Here’s a hint of how much regard Facebook has for its platform. On May 10, Facebook handed out two and a half million shares of Class A stock to Parse, an outfit that provides tools and services to mobile developers. At the time, that amount of stock added up to about $67 million. That’s more than a quarter of Facebook’s $221 million in M&A expenditures over the first half of 2013, according to a document filed with the SEC on Thursday. And the full deal could have been for even more, as that $67 million number doesn’t denote any cash or retention payouts. 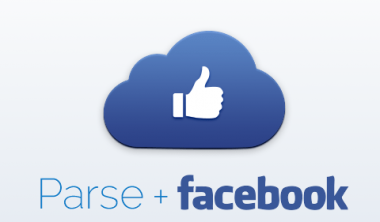 So what’s Parse, and why did Facebook pay so much for the 21-employee startup? As I wrote when the acquisition was first announced, the benefit is fairly straightforward: Fold Parse’s tools and services into Facebook’s developer offerings so devs can better create apps that run smoothly across multiple platforms. If small-time developer outfits don’t have to spend energy maintaining all the back-end stuff and can farm that out to Parse, the thinking goes, then those developers will spend their time making higher-quality apps. And Facebook certainly wants to get on developers’ good sides, especially after a long and sketchy history of ticking off developers with an ever-changing stance on how third-party apps perform on the Facebook platform. Facebook needs good content to flow through Facebook. And buying outfits like Parse for such a sizable sum shows just how badly Facebook wants developers to help provide that content. Expect Facebook and Parse to reiterate that point over and over — especially at the first Parse developer conference in San Francisco this September.